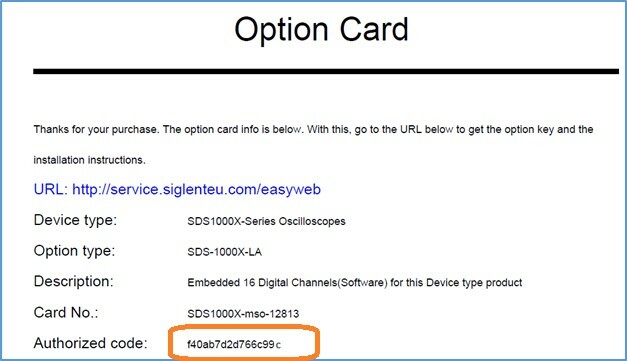 Many SIGLENT products have options that can be activated by entering a special activation code into the front panel. This note covers how to generate the activation code. 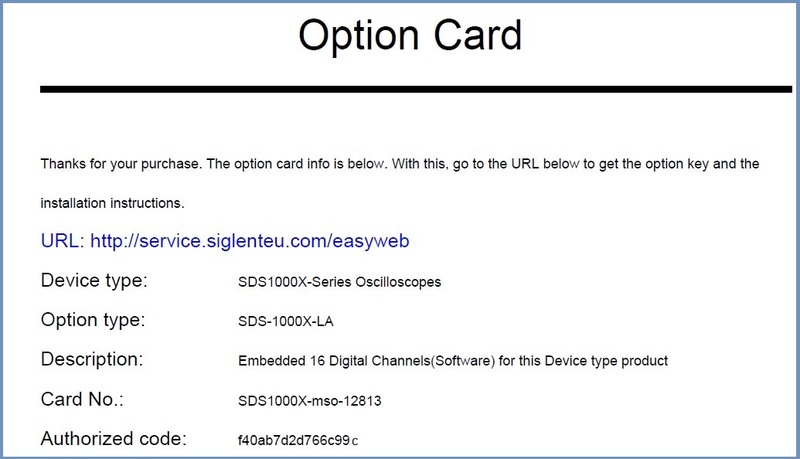 Contact your Authorized SIGLENT sales office or distributor to obtain an Option Card. This is typically a document that is emailed as a PDF. This is the official SIGLENT website for generating activation codes. Enter the Authorization Code from the Option Card (example circled below). Press Submit. This will generate the Option Key which can be entered into the instrument and permanently activate the option.